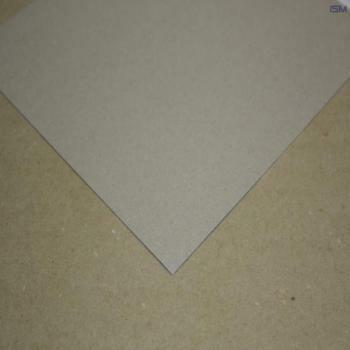 Interleaf and cover carton is usually transitional carton, which arises when the paperboard quality or the grammage is changed on the paper machine. This happens during operation. In this case, then falls to material, which is not standard. That's the transition box. Transitional board can have color, surface and grammage fluctuations (usually max +/- 50g / m²), which are not a reason for complaint. For transitional carton is cheaper than standard cardboard. A legal claim of the purchaser regarding a color, surface or grammage quality in transitional carton is excluded. Stock: 9 PU 50pcs. , Weight: 16,8 kg per PU 50pcs. Liner; 0,5mm; 800x1200mm; packaging unit 5pcs. Weight: 1,68 kg per PU 5pcs. Liner; 0.75mm; 800x1200mm; packaging unit 50pcs. Weight: 25,2 kg per PU 50pcs. Liner; 0,75mm; 1200x800mm; packaging unit 5pcs. Weight: 2,52 kg per PU 5pcs. Liner; 1,0mm; 800x1200mm; packaging unit 50pcs. Weight: 33,6 kg per PU 50pcs. Liner; 1,0mm; 800x1200mm; PU 5pcs. Weight: 3,36 kg per PU 5pcs. Liner; 1,5mm; 800x1200mm; packaging unit 50pcs. Weight: 50,4 kg per PU 50pcs. Liner; 1,5mm; 800x1200mm; packaging unit 5pcs. Weight: 5,04 kg per PU 5pcs.